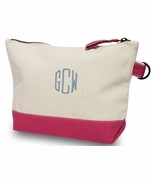 Embroidered cosmetic travel bag with monogram. 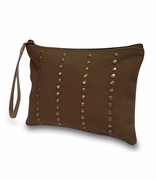 If your cosmetic bag is looking old and worn it's time to uplift your image with a stylish replacement with this Carolina Night stylish accessory pouch. Our fashionable make-up bag is designed in a easy clean micro-fiber fabric with vegan leather bottom band in solid black. Perfect graduation, teacher present, employee gift or bridesmaid thank you that will be well received. Matching weekender item WB-M445CNIGHT and shoulder tote WB-M450CNIGHT available to for a complete set. 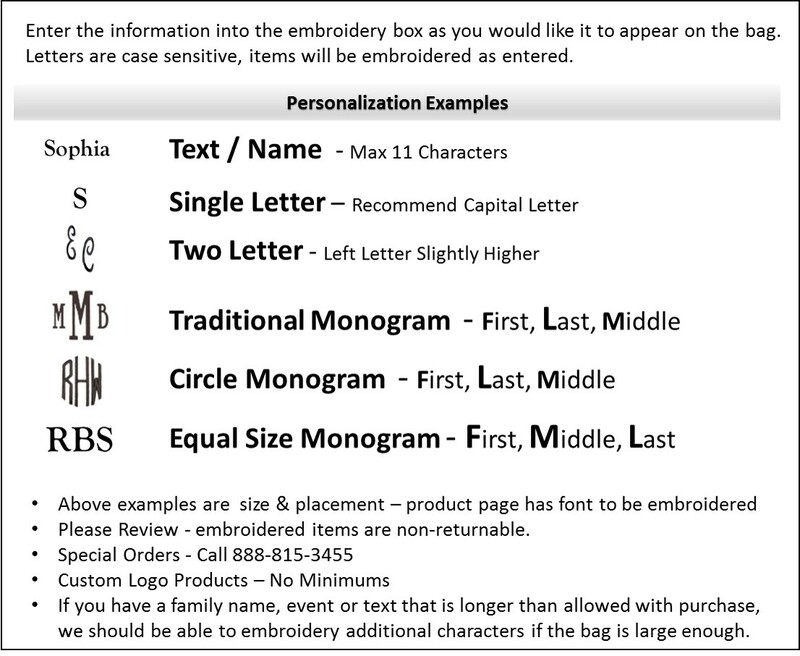 ACCENT MONOGRAM IS APPROXIMATELY 1" AND WILL BE PLACED NEAR THE TOP OF THE BAG. 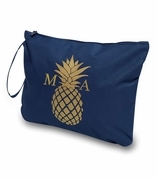 Personalized monogrammed cosmetic bag measures 12"W x 9"H, nylon lining, envelope bottom with zipper closure.